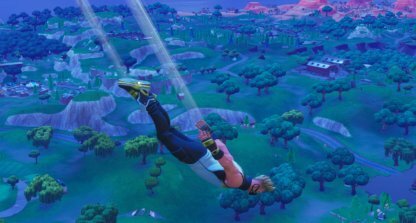 Learn how to land or descend faster using your Glider in Fortnite & get that Victory Royale. Land Fast To Get Victory Royale! 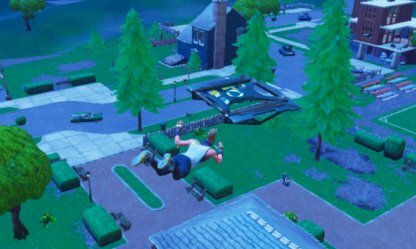 Landing faster will ensure you are first to get to good weapons, treasure chests, and strategic spots - key factors to surviving the battle and getting that Victory Royale! Check Out Best Weapons To Look For! Strafe Glider From Left To Right! You can descend faster by moving left and right with your glider. This works when you're right above the spot you want to land on. 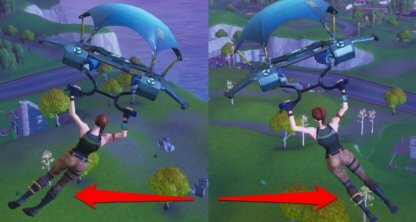 When you've activated your glider, look straight down and press your forward button while gliding. 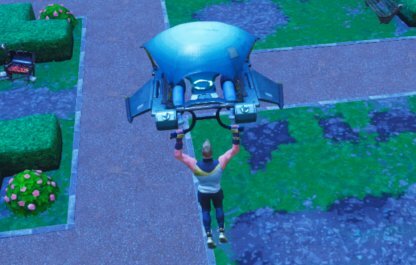 This will push your glider to make you land faster. 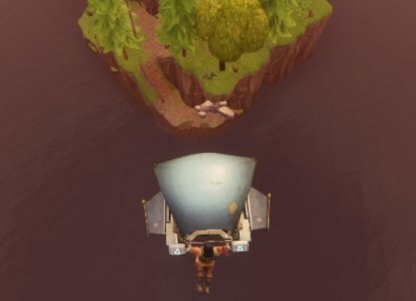 Gliding to the edge of the map or very low ground will make you land faster! This is very effective in challenging game modes such as Solo and Duo. Check Out Battle Royale Game Modes! 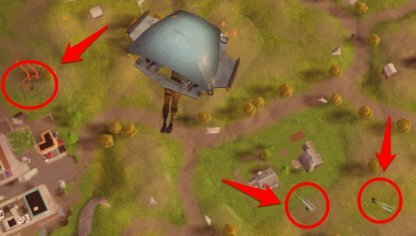 Gliders are what players use to land safely after jumping off the battle bus. 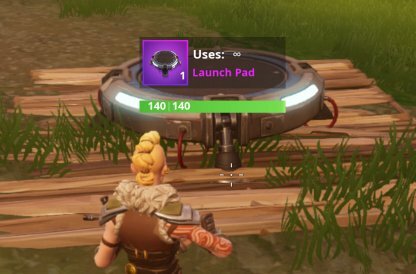 They can also be activated after using jump pads or rifts. 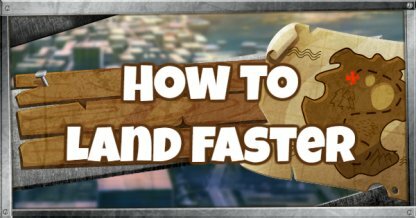 Check Out Beginner Basics Here! Gliders can be purchased in the Item Shop, unlocked via Season/Battle Pass Challenges, or redeemed through promotional/free skins! 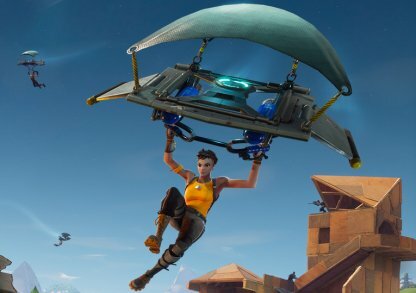 Glider skins are purely aesthetic and do not provide any battle advantage in-game. 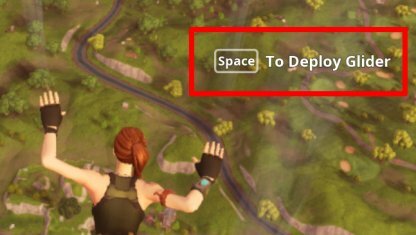 After jumping off the battle bus, the default button used to open or close your glider is the "Spacebar". 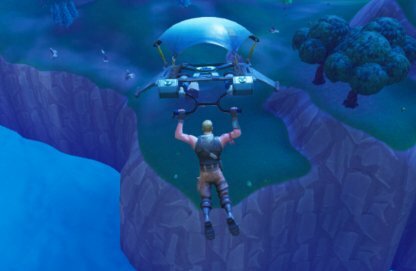 Opening your glider right after jumping off of the battle bus will slow down your descent. You can do this if you need more time to decide where to land. If you need to get to the ground quickly, you can sky dive instead of using your glider for a faster descent. Don't forget that gliders open after descending to a certain height. This is to prevent you from smacking yourself into the ground and suffering from fall damage! Take this into consideration when you're targeting to land in a certain area in the map. 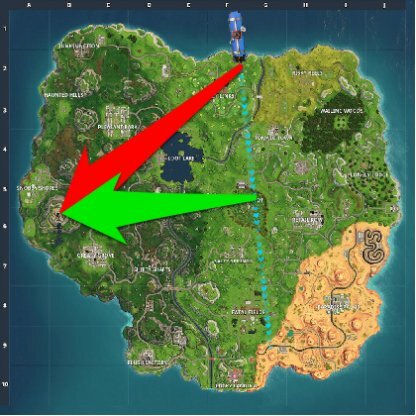 Don't exit almost on top of your destination as a vertical path (red arrow) takes more time to land. 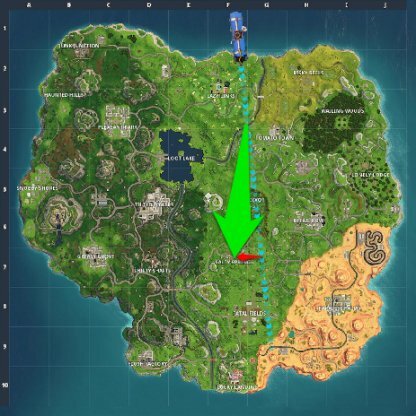 Instead, exit earlier then free fall down while aiming at the low ground (green arrow). In this example, the goal was to land on a roof in Retail Row. To descend faster, aim was at the lake in Dusty Divot in order to deploy the Glider at the lowest possible altitude. Exiting diagonally will result in a longer flight path (red arrow) compared to exiting perpendicularly (green arrow). 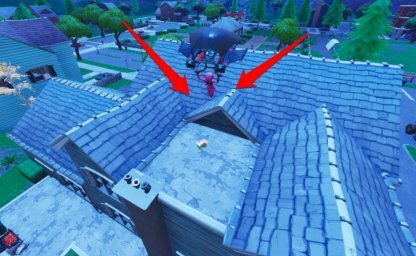 Use your glider to manuever yourself on top of roofs. They give you a height advantage plus treasure chests and loots are usually hidden in attics so you can arm yourself. Check Out Best Spots To Land! 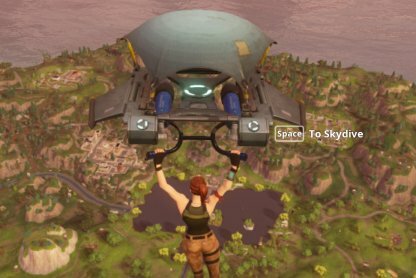 You can activate your glider right after jumping off the battle bus to survey where enemy players are headed. This can help you determine which area is safer to land in. Check Out Dangerous Landing Spots! Jumping on a launch pad propels you into the air and activates your glider! Use launch pads for a height boost or if you need to move between areas faster. 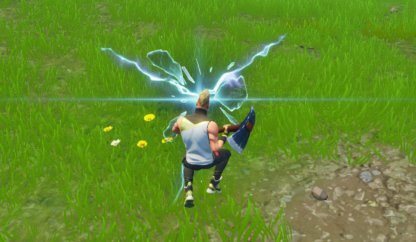 Jumping into rifts teleports you into the air above you and activates your glider. Use them to make quick escapes!